The current round of talks between the US and Taliban have gener­ated new hopes in the region about durable peace in Afghanistan which is in the interest of South Asia and entire world. ‘The talks ended in Qatar on Saturday with key parts of a draft pact mapped out, including an 18-month timeline for the withdrawal of foreign troops after the completion of a deal, according to Taliban officials. The draft also includes assurances from the hardline group that it will not allow Afghanistan to be used by Al Qaida and Daesh to attack the US and its allies a core US demand. Similar assurances involving other groups are given to Pakistan in the draft pact. The Taliban also want to be part of an interim govern­ment after any ceasefire. It was not clear whether the draft described by the Taliban was acceptable to both sides or when it could be completed and signed. 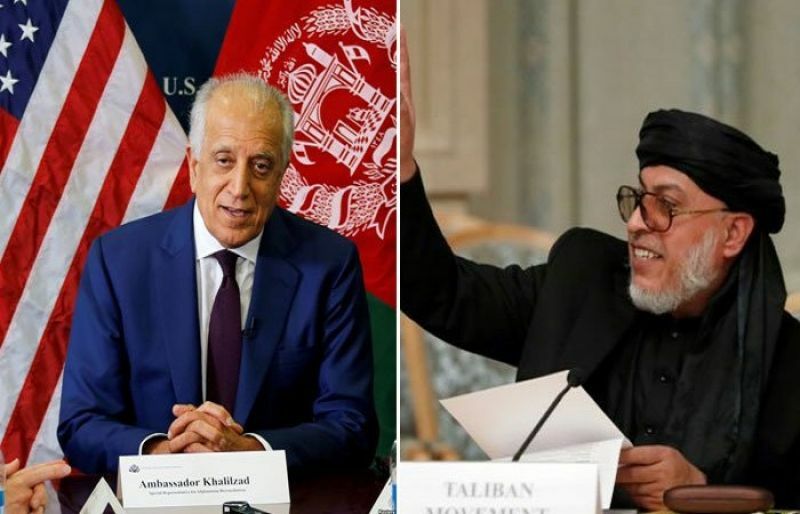 The US and Taliban representatives have held several rounds of negotiations in recent months, part of a diplomatic push to get the insurgents to agree to peace talks. The latest session ended in Qatar after six straight days of negotia­tions the longest consecutive sit-down between the two sides to date. Saudi Arabia, the UAE and Pakistan have also all participated in the talks. The Taliban are negotiating from a position of strength: They have the upper hand on the battlefield, and US President Donald Trump’s reported eagerness to start withdrawing troops from Afghanistan is weighing heavy on the discussions. In result of these talks, Afghan people have also bound high hopes of dura­ble peace in Afghanistan; however, some segments have still little bit doubts about the implementation of the agreed accord by both the on the basis of repeated breaches a large number of such accords committed by the US forces in the past in the form of drone strikes which killed a number of leaders. Therefore, it is the need of the hour that the US strategists must honour what­ever clauses they have agreed with the Taliban in these talks lest not only the trust of Taliban will be shaken, other groups will also never dare to trust the US commitments in future. Moreover, implementation of this has also placed prestige of Pakistan, Qatar and Saudi Arabia on the stake as they have played key role in these talks. Published in The Asian Telegraph on January 28th, 2019.